The room I stayed was so noisy until 2am because there were many Karaoke bars around the hostel. I think the rooms on the first floor are not noisy because they are away from the outside. I really enjoyed the scooter tour by the host. I could go to the bar after the tour with some members from the tour. 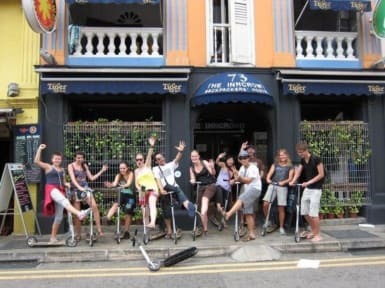 I highly recommend this hostel to those who have never traveled to Singapore. I could have a great time in 2 days.